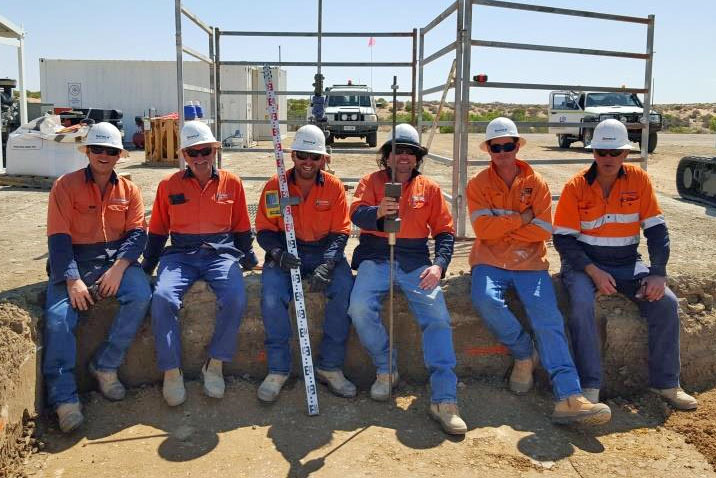 An energy producer is expected to hire more staff to work on its gas project, which is being accelerated in Queensland’s Surat Basin. Senex Energy is investing $50 million in its Western Surat Gas Project, 30km northeast of Roma in the Southern Downs. The proponent will use the money for 30 well-drilling campaign, with gas production of around 10 TJ/day expected by mid-2018. Senex promises the work program will bring significant gas volumes from drill ready acreage, and accelerate the project. “We have seen immediate gas to surface from the Glenora Pilot Wells, brought online for continuous production in early February. We have also seen evidence of strong gas flows from wells on the Eos block during rehabilitation works being undertaken on legacy QGC wells,” Senex managing director and CEO Ian Davies says. The Glenora and Eos blocks are located in the southeast of the Western Surat Gas Project, directly north of Santos GLNG’s Roma Field. The State Government welcomed the investment as a “vote of confidence”. “Confirmation by Senex Energy that they will accelerate their proposed Western Surat Gas Project is great news for industry jobs and business opportunities,” Queensland Natural Resources and Mines Minister Dr Anthony Lynham says. “Ongoing investment in our $70 billion CSG-LNG industry shows we have the policy settings right in Queensland. This work program is hoped to further Senex’s understanding of the resource. “[It will also] support an accelerated project timeline, with potential to drill, complete and connect another 30 to 50 wells throughout 2018,” Davies says. “Under this scenario and subject to regulatory approvals, Senex can seamlessly transition to a development phase targeting gas production of over 16 TJ/day by 2019, equivalent to one million barrels of oil equivalent per annum23. The recently announced strategic arrangement between Senex and EIG Global Energy Partners will facilitate these plans and support the delivery of material year-on-year volume growth. Senex previously built a pipeline between the Glenora Pilot to the GLNG low pressure gathering network back in 2016. Where do I send my resume for up coming work ?